The story of choristers at Salisbury Cathedral from 900 years ago to the present day. Some of England's most musically gifted children make up the 32 choristers. Child choristers have been singing at Salisbury for 900 years. 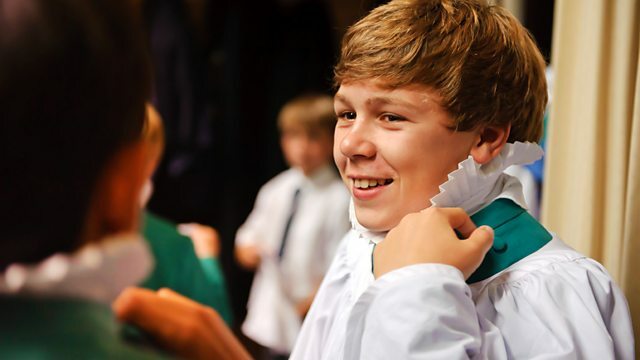 This film - an observational portrait, history and musical immersion in one of Britain's most distinctive and beloved cultural traditions - follows Salisbury Cathedral's choristers over Easter and through the summer term of 2011. Salisbury Cathedral's separate boy and girl choirs each contain 16 of the most musically gifted eight- to 13-year-olds in the country. Their role, now as always, is to sing some of the most sublime music ever written in one of Britain's most beautiful buildings. Indeed there are many who believe the chorister's pure, clear, treble voice is the finest instrument in all music. The film spends four months with the choristers as they go about their day-to-day lives, discovering their own history and singing some of the most loved music from a sacred canon spanning six centuries from medieval plainsong to the present day. Under the direction of indefatigable choir master David Halls, they rehearse and perform works by Sheppard, Byrd, Purcell, Handel, Mozart, Stanford, Parry, Alcock and Rutter. Lining up in his black cloak, ten-year-old Alex says he feels like Harry Potter while Freddie, 12, admits, 'Other children think we are weird and actually we are not.' Yet few children perhaps have the poise or conviction of Susanna, 10, who explains, 'Singing for choristers is part of them. If you said to me "You're not allowed to sing anymore", it would be just like me telling you that you can't see your child anymore.' It is doubtful that Salisbury's early choristers, often so hungry they were forced to beg for bread, thought so fondly of their work. But when plainsong turned to polyphony the choristers' plight was transformed - with the top cathedrals in the late middle ages known to pay Premiership-style transfer fees for the most musically gifted boys, some of whom were even kidnapped by rival cathedrals. Today's top trebles at Salisbury are seen competing for one of the most famed solos in a chorister's repertoire. Will Finnbar, Freddie or Noah be picked for Stanford's Mag in G? Anthem "Blessed be the God and Father"
Messiah "He Shall Feed His Flock"
Messiah "How beautiful are the feet"
HYMN "The day thou gavest Lord is ended"